Across from the Tree of Liberty, inside Independence Hall at Walt Disney World’s Liberty Square is the Hall of Presidents. One of the original attractions to open with the Central Florida theme park on October 1, 1971, this audio-animatronic attraction was originally going to be called “One Nation Under God,” and was supposed to be part of an expanded Main Street in Anaheim’s Disneyland. Due to technical limitations at the time, the grand scope of the patriotic tribute could not be realized. “Great Moments Lincoln” was instead used in California, after a successful run as part of the State of Illinois Pavilion for the 1964 World’s Fair. 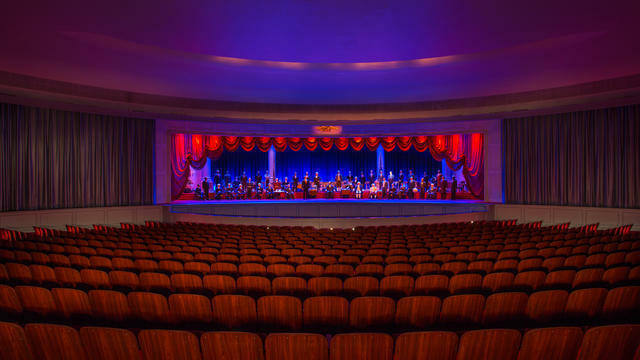 Hall of Presidents is one of several attractions that were original to Walt Disney World (and not alternative versions of Anaheim rides). Initially conceived as a wax-museum style attraction by Walt Disney, the stately show actually is partially a museum – in that several Presidential artifacts are displayed in show’s lobby (items like John Quincy Adams microscope and George Washington’s beer stein). The main theater seats 700 and utilizes three large screens, along with representations of all 44 U.S. Presidents, to tell the story of America’s history. The longest running version of the POTUS (President of the United States) presentation entertained and educated guests from the time the show first opened until 1993. During this twenty-two year run, all of the figures spoke through the talents of voice over actors. “Ghost Host” Paul Frees provided the voice for George Washington, Governor Mifflin, and Stephen Douglas. Actor Royal Dano (“The Rifleman”, “the Adventures of Huckleberry Finn”, “Twin Peaks”), who had been directly chosen by Walt himself, resumed his role of Abraham Lincoln (he provided the Great Emancipator’s voice in both the World’s Fair and original Disneyland versions of Great Moments with Mr. Lincoln). Benjamin Franklin found his voice in actor/director Lawrence Dobkin (“War and Remembrance,” “the Cabinet of Calligari,” “LA Law”) who also narrated the attraction. During the 1993 refurbishment, Presidents Ford, Carter, Regan, Bush Sr. and Clinton were added and the show was given a bit more of an upbeat pace. Maya Angelou became the new narrator. The new show also had the current sitting President give a speech followed by a revised Abraham Lincoln talk (who now referred to notes for his speech that he viewed through newly added glasses). When George W. Bush was added to the show in 2001, he also provided his voice for the attraction. His figure actually was the very same one that had been used for Clinton (who now, no longer had a speaking role in the presentation). Voice actor J.D. Hall took over narration and Peter Runaway (narrator for “the Many Adventures of Winnie the Pooh” and also for “Tomorrowland Transit Authority”) provided audio for Lincoln’s speech. President Bush would be the final sculpt by Blaine Gibson (Disney animator/WED sculptor and Legend who also sculpted the face of Lincoln for the Great Moments attraction, as well as every other President through George W. Bush). Morgan Freeman narrated the Hall of Presidents feature show when President Barak Obama was added to the show in 2008. Obama also recorded his own speech (and recited his Oath of Office). David Morse was given the role of President Washington’s voice (“St. Elsewhere” “the Green Mile” “John Adams”-as George Washington) and Royal Dano’s voice was restored to President Lincoln. Brand new, state of the art, advanced animatronics (A-100) were brought in to give Presidents Washington, Lincoln and Obama more realistic motion and expression. Hall of Presidents is one of three remaining attractions in Liberty Square (also home to the Haunted Mansion and the Liberty Square Riverboat). The Mike Fink Keel Boats (now part of the Haunted Mansion queue) were closed in 2001. 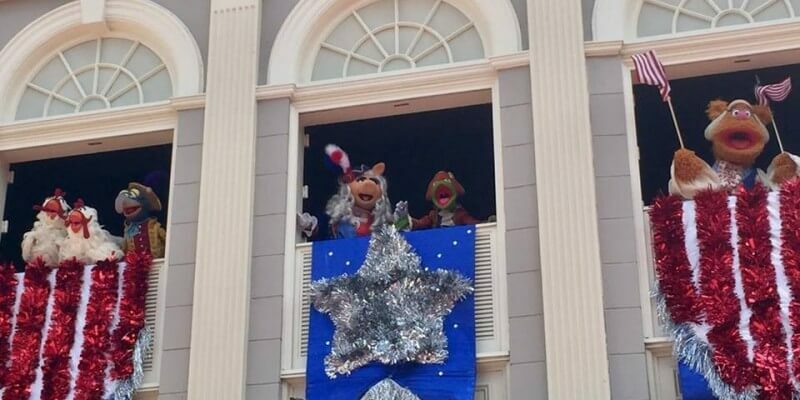 A new addition to the area, “The Muppets Present . . .Great Moments in American History,” was added in 2016 (see our ITM story about this new Liberty Square show HERE). 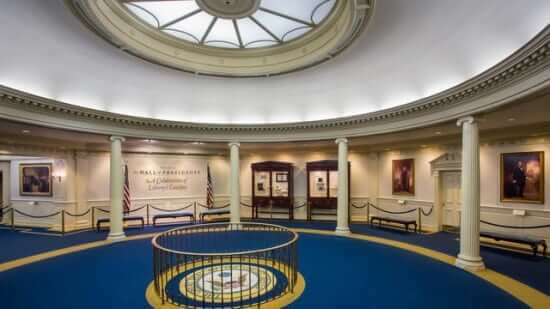 When was the last time you visited the Hall of Presidents? Do you have a favorite version of this patriotic Presidential presentation? Share your memories and write your own declaration in the comments below. It’s not Peter Runaway. It’s Peter Renaday who has been a voice over actor for years for Disney.